We are thrilled to announce that we won an amazing ELEVEN awards in Jan 2018 at the Regional Scottish Hotel Awards. 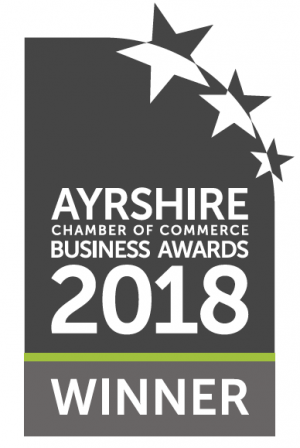 We were awarded with the Business Growth Award at the 2018 Ayrshire Business Awards. A fantastic achievement which we are truly grateful to have received. We are also proud winners of Ayrshire’s Best Business, awarded at the Ayrshire Chamber of Commerce Business Awards 2017.Again, a huge thank you must go to our team within the RAD Group, who make such achievements possible. 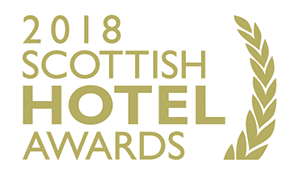 We are delighted to announce that the Scottish Hotel Awards 2018, Mr and Mrs Kyle received the Gold laurel award for their contribution to the Ayrshire Community. The Gold Laurel was awarded to the group in recognition of its role in growing employment and offering excellent services for local families and businesses. 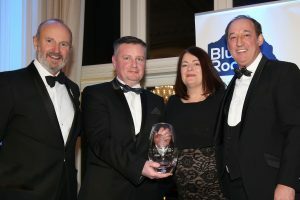 In March 2019 Lochside Hotel, Lodge and Spa were nominated for the 2019 Business Excellence Award. A massive thank you to the Ayrshire Chamber for again recognising RAD Hotel Group within the many deserving businesses in Ayrshire. We would also like to thank all our amazing customers and guests throughout the years, not just at Lochside but throughout all hotels in RAD. Thank you! Another fantastic achievement for Lochside Hotel.